November 23 – On Saturday Argentina will come to a standstill as River Plate host Boca Juniors in the second leg of the Copa Libertadores final. A fortnight ago, the teams shared the spoils, 2-2. 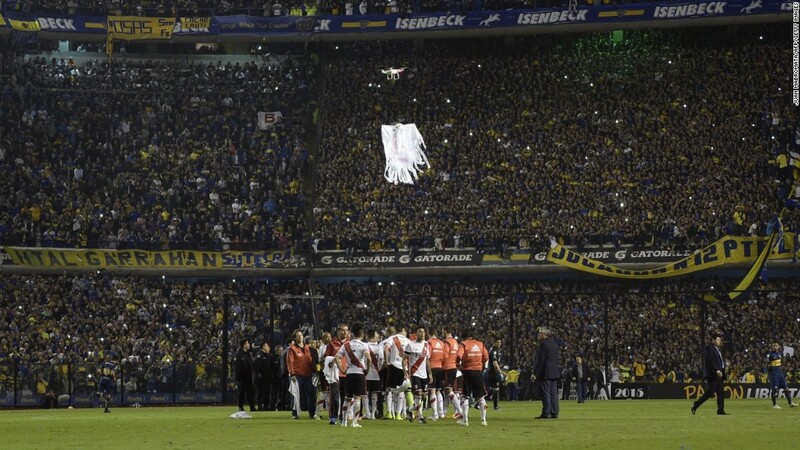 On Thursday more thanb 50,000 fans turned up at La Bombonera stadium to cheer Boca Juniors on during an open practice. Police had to turn away thousands more. “We’re going to give our lives to win,” said Boca’s coach Guillermo Barros Schelotto. River Plate twice came from behind to secure a valuable 2-2 draw in the first leg. They will go into the return game as slight favourites. Their coach Marcelo Gallardo missed the first leg due to a four-game ban from South American football’s governing body CONMEBOL, but he will return to the bench on Saturday. The away goal rule does not apply in the final which will be the last final played over home and away legs. As of next year CONMEBOL has opted for the final to be played at a neutral venue.